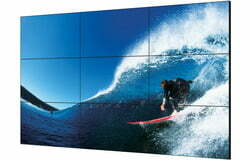 A video wall is an extra-large display made up of multiple display screens, such as computer monitors, or televisions, tiled together in order to form one large screen. Display screens that are specifically designed for use in video walls tend to have a narrow bezel (surround to the screen) to minimise the gap between screens. Sharp’s multiple slim lined – bezel monitors can be joined in a near seamless combination, making for a video wall that makes an impact and expands the possibilities of what displays can do. A reflective strip can be added to further reduce the appearance of a gap between the screens, tricking the eye into seeing one complete panel. Why use a Video Wall rather than a Normal Display Screen? There are many reasons why you may choose to install a video wall over a display screen. These include: greater screen area per unit cost, the ability to customize tile layout and most obviously, to make a real impact to your audience. The combined large screen can be used as a single canvass or it can be subdivided as needed to show a variety of content sources simultaneously. 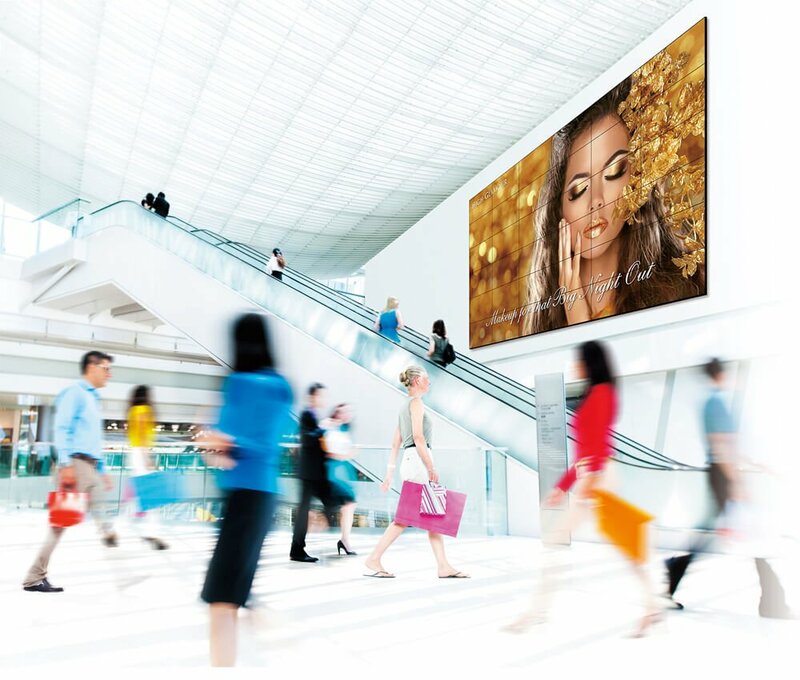 Video walls are found in a multitude of venue types, from control rooms and baggage reclaim areas in Airports through to stadiums and other large public venues, serving as both informative boards and advertising space. The World’s largest video wall can be found in the US at the Texas Motor Speedway motorsport track. 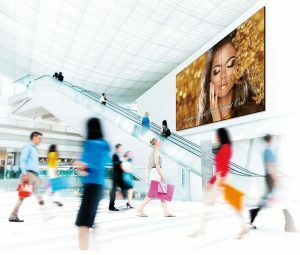 Created by Panasonic, it measures 66 meters by 38 meters, and uses LED technology. We can also create custom video walls, to make the biggest impact! Our team of specialist installation engineers are highly capable and experienced at fitting video walls into any setting. Whether you want a landscape or portrait, large or small video wall, we will work with you throughout the process to ensure that the end product meets your needs and expectations. The devices can be fitted in a number of ways, from directly fixed on a wall bracket or trolley, to being suspended from the ceiling. No matter where your ideal location for the video wall is, we’ll be able to install it to your exact requirements.